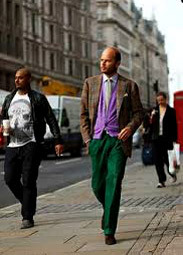 Luca Rubinacci is a real fashion sensation in London. He is the quintessence of the Neapolitan sartorial style combined with the British imperial conceptions of gentleman's wardrobe. Rubinacci feels real passion for bright bold colors, which would not be worn by many men. 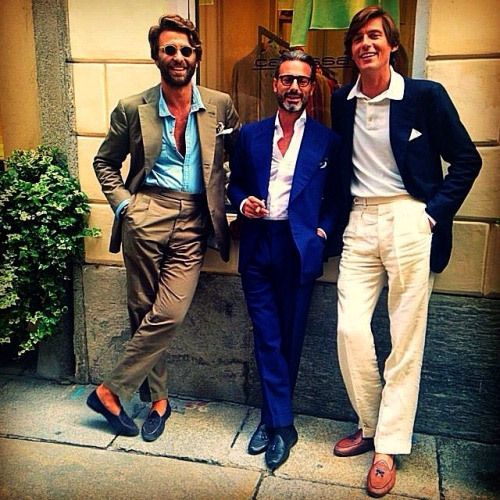 I remember his canary yellow trousers and his attire during the Pitti Uomo 89. 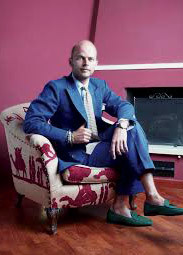 He is even more colorful than Lapo Elkann, which most probably makes Lapo pretty jealous. 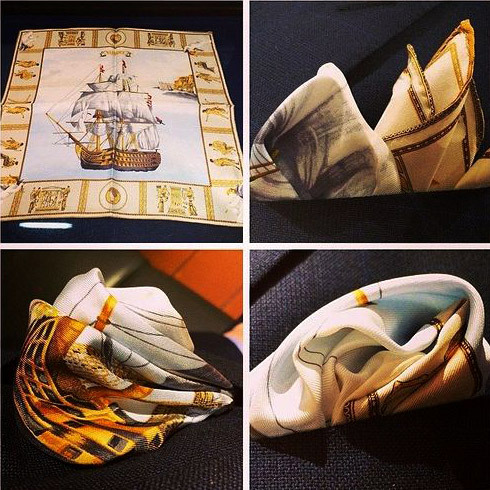 And what can we say about his linings with images of antique ships and pochettes in the same style! The newest Rubinacci atelier was opened in 2005 in the heart of London, at 96 Mount Street. It shares the atmosphere of the other studios of the brand - a cozy lounge where you will be assisted to choose the best English fabrics and leaved in the hands of the best Neapolitan master tailors. Rubinacci belongs to a generation of tailors dedicated to uncompromising elegance and sophistication. 'Our family has dedicated pretty much time to create an excellent credible expertise, which led us to a perfect combination between traditional craftsmanship and latest trends', Luca explained. 'Actually, for us, to create a piece of clothing means attention to its details, choice of the best fabrics and techniques, and these make our creations unique, because every piece of clothing is defined by the gentleman, his interests, hobbies and style. Everything the man embodies is harmoniously translated into his attire, because we are responsible not only to preserve and transmit our heritage through our work, but also for spreading and improving the concepts of style and sophistication', Rubinacci continued.